The New York Times reported recently that Amazon’s buying Goodreads, the largest book review site online. It’s easy to see the appeal of Goodreads to Amazon. Goodreads apparently has 10 million ratings and reviews of over 700,000 titles. This trove will bolster the already-copious product information that supports book discovery at Amazon.com. Moreover, Goodreads is a natural venue for promoting books that authors self-publish through Amazon’s Kindle Direct Publishing program. 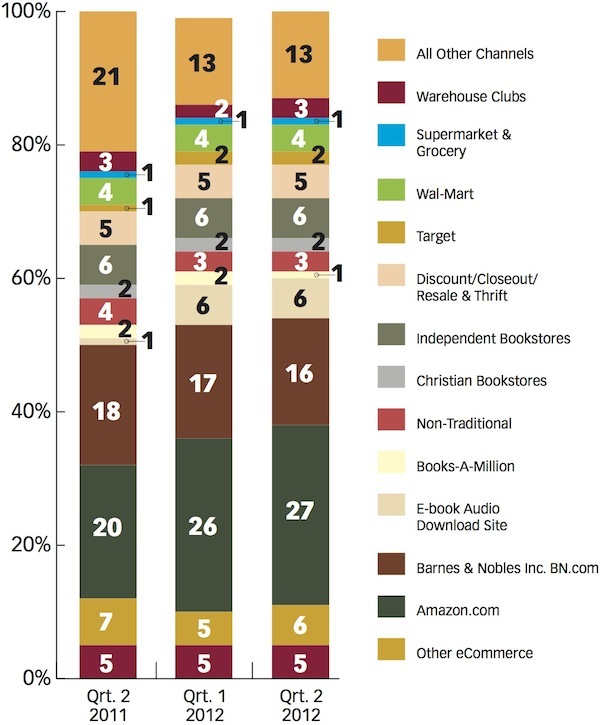 But when I think about Amazon’s sources of market power in book retailing, one of the first things that comes to mind is the indirect network effects: Amazon’s existing collection of user-contributed book ratings and reviews provide lots of information to potential buyers. The more customers who use Amazon, the more information they make available, and the higher the quality of subsequent customer experience at Amazon. In short, the more that people use Amazon, the more that additional people will want to use Amazon. This source of market power is fairly gained, I guess, although the customer/reviewers who create all of this information might want more compensation than the words “top-rated reviewer” after their names. Buying Goodreads substantially increases the amount of information at Amazon’s disposal. Given how adroit Amazon is at using information, we can expect them to find a way to improve the customer experience. Some part of me is actually excited about that. But Amazon’s acquisition of Goodreads will also enhance the market position of the market’s largest player. If Amazon owns Goodreads, then no other book retailer does. It seems entirely possible that some other book retailer could have combined with Goodreads to offer Amazon some serious competition. If this is a done deal, we’ll never know. Spot on, Joel. There are economies of scale in combining all the information. That is a plus. As you say, there also might ever be some new cool outcomes from that new scale combined with other tools at Amazon (though I frankly doubt it, since Amazon’s ratings are already big enough). However, the combination precludes other potential entrants from trying combine those inputs in interesting and unexpected ways. Thus, it forecloses experimentation from another firm with distinct interests who might compete with the leader. In sum, Amazon gains directly, and society gains from that, but society also loses the option value on a different future. Makes me ambivalent too. The biggest issue that people have with Amazon’s acquisition of Goodreads is that we didn’t have a choice. Amazon bought our information. That is the problem here. My information is not for sale. I may be willing to trade it with you to use your site, but it is not for sale, particularly to Amazon who are the worst thing to ever happen to the book industry. I do not want to make it any easier for Amazon to drive me out of business, and if having my information helps them in any way, they cannot have it. Next PostNext Why are there no good toilet finding apps?